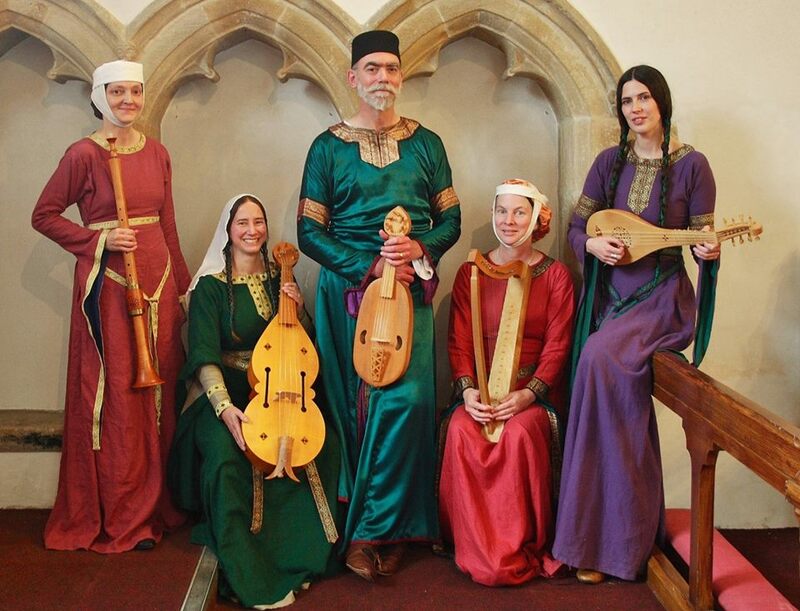 Gaita is Scotland's specialist medieval music ensemble dedicated to performing their music in a medieval context. The core of our repertoire is the secular and courtly music of Medieval Europe - particularly from Scotland, France,Spain and Italy. 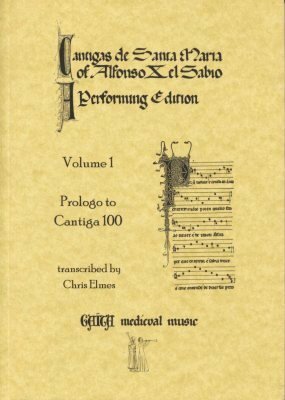 Gaita publishes books of transcriptions from medieval manuscripts including the Cantigas de Santa Maria of Alfonso, the Wise, the Llibre Vermell and the Cantigas d'amigo of Martin Codax. Cait Webb is an accomplished Calligrapher and Illuminator who produces original artwork to commission. Gaita is Old Occitan for 'watchman' - such as a guard of town walls who was usually equipped with a horn or a shawm for raising the alarm. 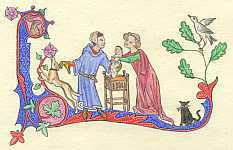 The Gaita is a stock character in the genre of Troubadour song called the 'Alba' (dawn song). He guards a tower where two lovers spend the night and alerts them of any intruders (usually the jealous husband). The same word in English became the 'Waite' - a member of a town band. The association with loud instruments also led to the current use of Gaita as the name of a North African shawm and for some Spanish and Balkan bagpipes.